It's definitely an experience, worth trying at least once. And I feel as long as you learn something from it, then you've won. If by succeed you mean write 50,000 words in 30 days, then yes, I did. But I don't think you didn't succeed either. If you learned something, you're smarter than you were before. And hey, you also got 15,000 new words out of the deal. That's pretty awesome IMO. Congrats! No "win" for me this year, either, but I have to say that 19K is probably the most I've written in a month, and this is the first time since grad school that I've taken the time to write something most days of the week, so in that way, it was a personal win. And I have a chunk of story that I want to flesh out and develop, so there's a win there, too. Just not an official win. Yeah, you didn't fail at all, and you're attitude says it all. I did a post about this today. You WIN! Tabitha--I agree. You have a different relationship with every book, and my current WIP is definitely a slow-and-steady one. Liz--True! I remember having so much fun doing it in college. I definitely hope to complete it again in the future. Jessica N--That's awesome, congrats! Sometimes a personal win can mean so much more than outside validation. Good luck on your story! 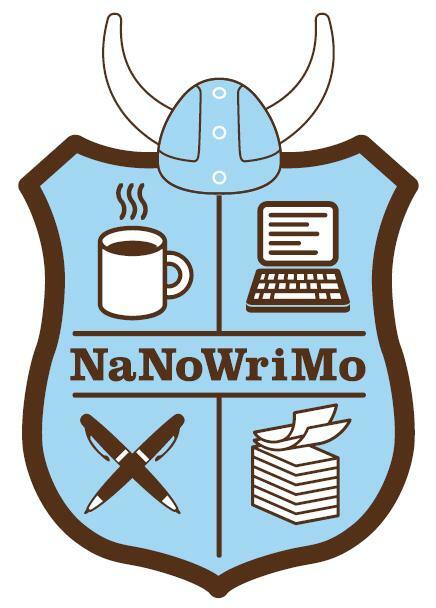 Colene--Thanks :) I think I'm going to start considering Nanowrimo a month-long writing exercise, and I definitely agree there are lots of way to "win." Michelle--Thank you! :) I'll definitely be checking your post out today. Thanks for stopping by! I won, but I get what your saying. For me, nano was really about establishing a habit. I went to write ins every Monday and I think I'm going to try to keep up Monday as my "writing night". I also learned I tend to leave out descriptions of the background. I re-read my first scene last night and realized it could very well have taken place inside of a white room without windows. I agree that it's not for everyone. What NaNo did for me was motivate me to finish a first draft. I did a little bit of going back to read and edit, but I focused more on furthering the story. Granted, I'm at 50500 and the story isn't over, but I think it will be soon. I heard advice along these lines, "When in doubt, make trouble for your character," and I followed it each time I got writer's block this month. Something amazing happened when I did that. A scene would pour out of me, be interesting, and it would become a relevant plot point as time w-ent on. Meghan--Congrats on getting 15k down! Every little bit helps. Krispy--I think that's what I'm most proud of. I like that, even though I didn't reach the objective goal of Nano, it pushed my writing to the forefront of my mind. Sarah--That's awesome that you finished. Congrats! Also, I really like your advice. That's definitely something I'll keep in mind as I continue to write. But like you said, nano isn't for everyone. If it takes 10 years to write your book, or if you crank it out in 2 weeks, who cares? If it's the next Harry Potter, we'll all love it anyhow. Or be green with envy.